Sgt. 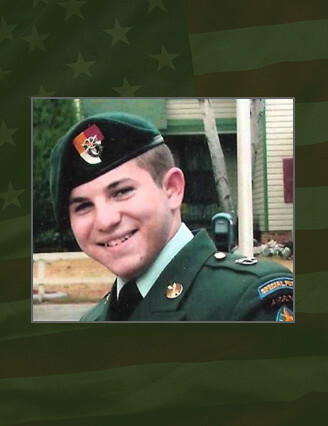 Aaron J. Blasjo died May 29 when the vehicle he was traveling in, while on a mounted patrol, struck an improvised explosive device in the Wardak Province, Afghanistan. He was born March 19, 1986, in Riverside, Calif. He volunteered for military service and entered in the Army in July 2004 as an infantryman (11B). After completing basic training and Airborne School at Fort Benning, Ga., Blasjo was assigned to 1st Special Warfare Training Group (Airborne) where he completed the Special Forces Qualification Course in December 2006 as a Special Forces communications sergeant. Upon completion of SFQC, he was assigned to 2nd Battalion, Headquarters Support Company (HSC), Signal Detachment (Sig. Det. ), 3rd Special Forces Group (Airborne), headquartered at Fort Bragg, N.C. He was later assigned to C. Company, 2nd Battalion, 3rd SFG (A), Operational Detachment Alpha 3235. Upon completion of his second combat rotation he volunteered for and graduated the Special Forces Multi-Purpose Canine (SFMPC) Course. Blasjo served as a SFMPC Handler with the Group Support Battalion (GSB), attached to ODA 3333. Blasjo has deployed to three times Afghanistan in support of Operation Enduring Freedom. His military education includes: Basic Infantry Course, Warrior Leader’s Course, Advance Leader’s Course, Basic Airborne Course, Advanced Pistol Marksmanship, SOC AM General Driving Course, Special Forces Qualification’s Course, Special Forces Communication Sergeant’s Course, and Survival Evasion Resistance and Escape Course. Blasjo’s military awards and decorations include the Bronze Star Medal, Purple Heart; Army Commendation Medal; Army Good Conduct Medal, National Defense Service Medal, Afghanistan Campaign Medal, Global War on Terrorism Service Medal, Army Service Ribbon, NATO Medal, Special Forces Tab, Combat Infantryman Badge, Parachutist Badge. He is survived by wife Crystal, son Talon; and parents Daniel and Bobbi Blasjo of Riverside, Ca.